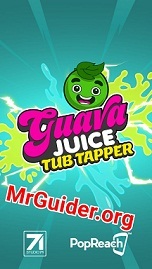 Guava Juice Tub Tapper is a new mobile game in which you build bathtubs to produce bubbles. The bubble is the main in-game item, used in upgrading and unlocking many types of upgrades and new bathtubs. The more you produce the bubbles, the better will be your progress. Guava Juice Tub Tapper game features lots of bathtubs, costumes, upgrades, mini-games, and many more features. In this post, we have covered everything about the game you need to know: Guava Juice Tub Tapper guide and Guava Juice Tub Tapper tips, cheats & strategy guide. Before we head to the cheats, tips & strategy part, let’s learn the basic of the game. In Guava Juice Tub Tapper game, your objective is to unlock all the bathtubs, reach their maximum levels, upgrade, and unlock golden ROI costume. The golden ROI costume gets unlocked when the player unlocks rest 40 costumes. To unlock a costume, you have to rank-up the bathtubs. To rank-up a bathtub, you need that bathtub boxes/tokens. Read the rank-up guide below for more info. You can find these bathtub boxes/tokens in the juice boxes. Duck is another item in Guava Juice Tub Tapper game, used in purchasing juice boxes. In short, your main objective is to produce more bubbles, use bubbles to level-up bathtubs, collect ducks, open juice boxes, get bathtub boxes, rank-up bathtubs, unlock costumes, and at last, get the golden ROI costume. As you progress, the cost of leveling up a bathtub will increase and it would be hard to level up fast. 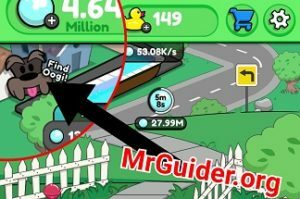 Let’s start the Guava Juice Tub Tapper guide and after it, check out Guava Juice Tub Tapper tips, cheats & strategy guide to master the game. In this part, we will learn about the bathtubs, duck, bubbles, leveling-up, ranking-up, costumes, juice boxes, bathtub boxes/tokens, and much more. You start the game from the wood tub to produce bubbles. But a single bathtub is not enough to produce millions of bubbles per second. So, level-up, save bubbles, and unlock new bathtubs and at last, unlock the giant Ocean at the cost of +20 Billion. Olympic Pool, Water Park, Lagoon, and Ocean are the high-profitable bathtubs because they produce more bubbles as compared to other bathtubs. You can level-up a bathtub to boost the bubble production. The player can even rank-up a bathtub. Ranking up a bathtub unlocks a new costume. In Guava Juice Tub Tapper game, leveling-up is one of the important tasks. As you level up a tub, it will increase the bubble production and unlock the new boosters. At level 1000, you can unlock the perk upgrade and it will skyrocket the production of bubbles. If you want to unlock the gold ROI costume in Guava Juice Tub Tapper game, then you have to complete the collection of costumes. As per current version of the game, there are 40 costumes available. And to unlock a costume in this game, the player has to rank-up a bathtub. How to do that? Open these boxes and you could get tokens. Gather enough tokens to rank-up a bathtub. For instance, to rank-up ocean, you need two ocean tokens. The game will automatically rank-up that place when you have enough tokens. Then find more and reach rank 3, 4, 5, and so on. After you unlock a costume, you can buy it using duck. You can easily obtain the duck by tapping the bonus bubbles(Read the Guava Juice Tub Tapper cheats, tips & strategy guide part to learn more). 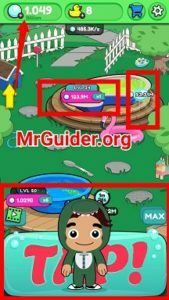 So, this is the simple Guava Juice Tub Tapper guide for the beginners. Now, let’s learn the Guava Juice Tub Tapper cheats, tips & strategy guide to master the game! The very first step you have to do is double the bubble production by watching a video ad. Tap the video icon just above the tap bar and watch the video ad. This will double the bubble production for 1 hour. You can watch multiple video ads and extend the time to 10 hours. So, make sure to activate this booster before you go to sleep. In Guava Juice Tub Tapper game, Oogi is a cute dog who can boost up the bubble production for few seconds. The Oogi dog appears after every few minutes; you will see its icon at the top-left of the screen. When you see that icon, swipe up-down the screen and find it. Once found, tap on it. The dog will spread bubbles; tap as many bubbles as you can; some bubbles also include ducks; don’t forget to grab those bubbles. Before level 50, to collect the bathtub’s bubble collection, you have to manually tap on it. At level 50 of every tub, you can unlock the automate perk; then you don’t need to collect manually. The reason for reaching the level 50 as fast as possible is the bathtub will not produce the bubbles if you forget to collect the bubbles. Don’t stick to a bathtub; for instance, you are only upgrading the wood tub and not unlocking the new tubs; with this strategy, you can not progress fast. It would be better to unlock a new tub once you reach the level 50. After you unlock all the bathtubs, start leveling-up again; 50 to 100, 100 to 200, and so on. In short, you should not stick to a single bathtub. After every few minutes, you will see big bubbles on your mobile screen, these are bonus bubbles; tap on these bubbles to get bonus gifts such as ducks, bubbles, juice boxes, and much more. A mini-game gets unlocked whenever the player fills up the tap bar. All you need to do is keep tapping the tap bar and once it fills up with the juice, you can play the mini-game; bomb bubbles. You can collect 6X bubbles in few seconds by playing this mini-game. In short, you should not skip tapping part. Keep tapping and playing. Well, you can instantly claim the 8-hours profit using time warps. It costs you 300 ducks. You should not spend ducks on this useless booster. It would be better to buy epic juice box. For More Updates, Game News, Game Guides, New Game Releases, And ALERTS – Like Us On Facebook – MrGuider, Follow Us On Twitter – @techhuntr. Check Out – Top New Android Games Today. Subscribe Us, Give your suggestions – here.